Djelmami-Hani M, Martin D, Queen, E, et al. Efficient approach for atrioventricular junction ablation with pacemaker implantation. 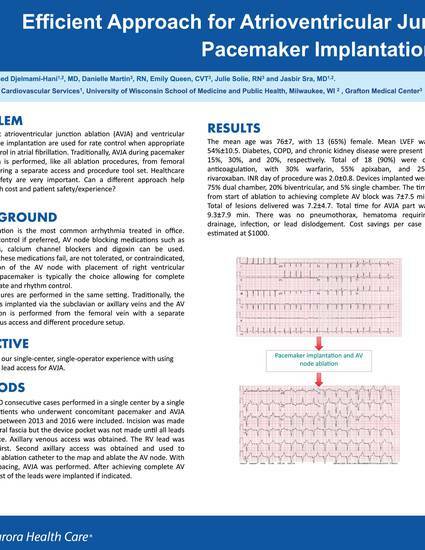 Poster presented at: Aurora Scientific Day; May 24, 2017; Milwaukee, WI.